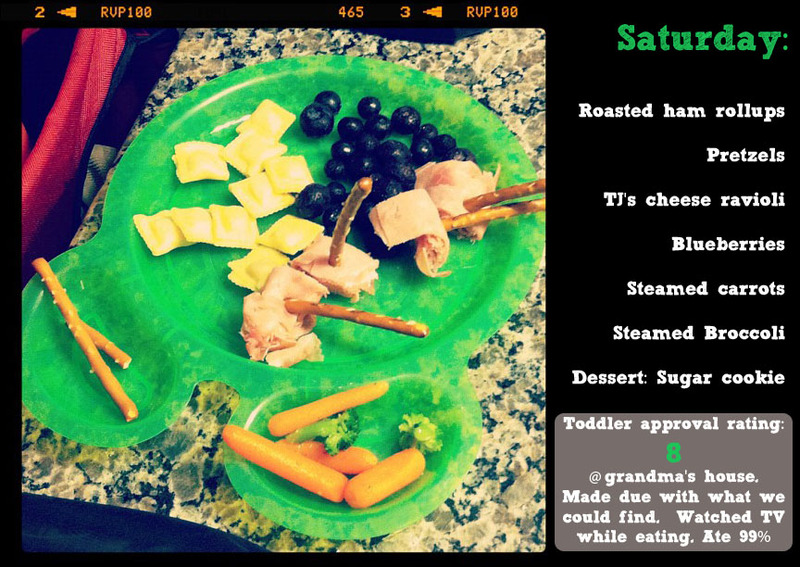 So last week’s toddler dinners was a huge hit. I didn’t realize the love for this stuff! I was so excited to see people sharing ideas and following along throughout the week on Instagram and Twitter. I got a lot of good questions…so keep em coming! I thought I would use this week’s post to highlight some of the questions I got from everywhere. Feel free to ask away on here, Twitter, Instagram, or shoot me an email. Q: Where do you get those plates!? A: Target clearance, my friends. I am a dollar section junkie. I can’t help myself. I found a little after Landon started eating solids that after major holidays, they have 50% off the dollar section and a lot of time there are plates and bowls. Boom. We rock Christmas and Halloween all year round. Q: Does the wide variety ever end in lots to throw away? A: Yes and no. I don’t have huge servings, so it is never much anyway. The glory of variety is you have bargaining chips. Say he scarfs down the blueberries first thing and asks for more. We say “you can have more blueberries when you eat more of your other bites”. Sometimes we get a fussy “no” but we ignore him. He usually will start poking around. You can get even more out of “if you eat 3 more bites of X Y Z, you get a special treat”. Q: What are special treats? A: Usually something sweet. Most of the time, this kid will kill a panda for a yogurt raisin. We can get him to do anything for them…so we use that to our advantage. It is also a true sign he isn’t hungry when he doesn’t want them. Sometimes special treat is a brownie because we have them or maybe a popsicle. Q: How do you get him to eat the veggies? A: Honestly, I dunno. I guess I never treat them any different. There is always a protein, veggie, fruit and carb. 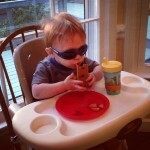 As an infant, he would eat anything but then he got picky. 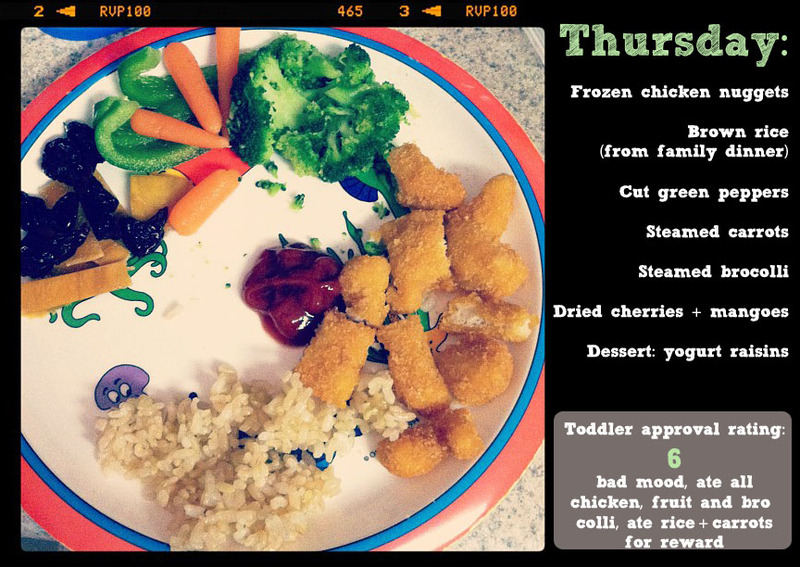 The green options weren’t going well for awhile and he ASKED me for broccoli one day. Apparently he likes to “chomp the trees” at daycare. Who knew!? I guess my advice is don’t make a big deal about it. Present it and try…it is all you can do. And if all else fails, bribe them. 🙂 Peppers are nice and sweet…once I got him to try them, he liked them. Q: What is the balance of food you make for him and you and K? 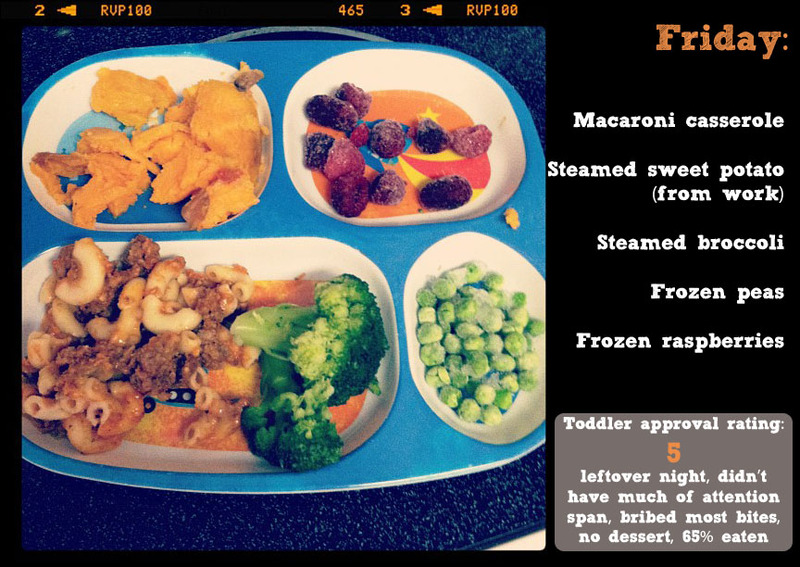 A: I am trying to do more family meals but like I said last week, I keep leftovers of everything. So if we are having something I don’t think he will really want, I can sub in leftovers. If we get takeout, I usually make a random assortment plate for him. Q: Do you season his stuff less? A: Short answer, not really. Over time I let him decide. I didn’t do this early on but now I just give him some. He can tell me if it is too hot. And he never has. Now he may be MY kid. I love spicy. He loves for me to put pepper on his things to make them “spicy”. “Look daddy. Spicy pastas!” Now I don’t give him thai but I have found they are pretty smart. If you are worried, give them a teeny piece and see if they like it. Q: When and what are the other meals/snacks during the day? A: I give credit to daycare. They have a schedule. 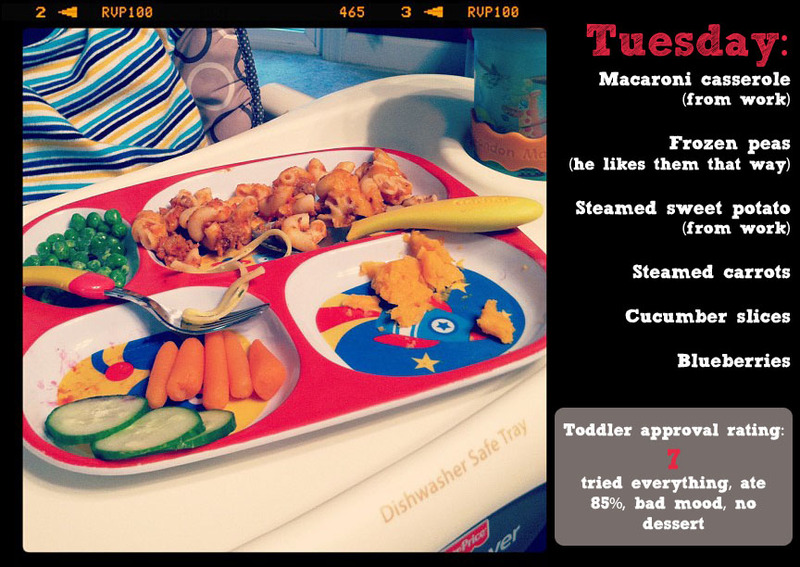 Weekdays: He has breakfast at home at 7 and then daycare has AM snack around 9. Then lunch at 11:30ish. 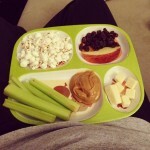 Snack when he wakes up from nap at around 2:30-3. Dinner around 6. Weekends: Similar schedule but we don’t always have snack. I use it to take a break at the park or keep him entertained at Target but he never really asks…so we save up for meals. 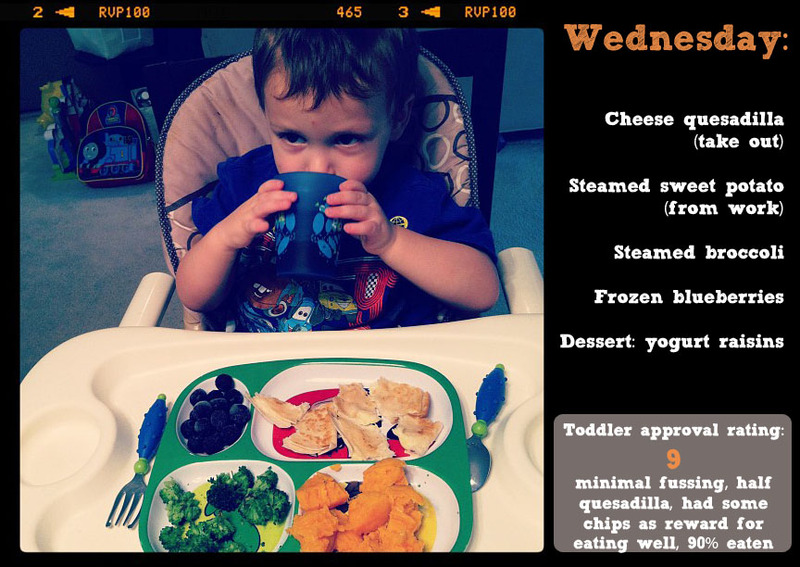 I will save some of the other questions for next week to highlight mealtime behaviors. What we say. How we react. What the “rules” are. Etc. Send your requests! ← Working with Style – It’s FALL! Thanks for answering my questions! I’ll have to think about whether I have others, but the others you answered here are great, too. I am so not ready to be at this stage with Noah, but I know it’s only a matter of months! I’ve been really inspired by your posts, but have yet to fully achieve the same success. Do you steam the veggies as needed or steam ahead and serve? Also, do you have a list of “staples” that you keep on hand all the time as options. Variety seems to be an issue for me. Love it! 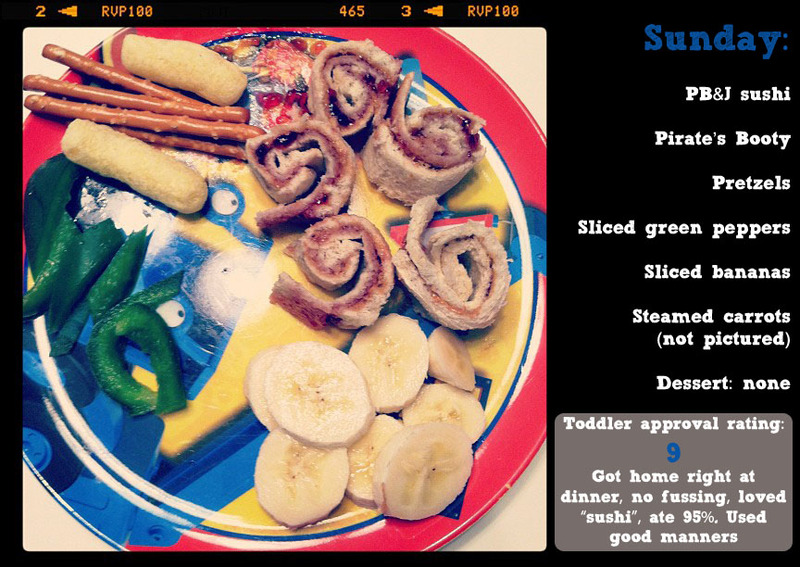 I will have to try the PB&J sushi for Pierce, too, I bet he’d love it. I have a behaviour question for you: Does he ever throw his food on the floor? We’ve had an ongoing problem with that with Pierce. We always (try to) make him pick it up when he’s finished eating but some times (like tonight) he just refuses. It’s so frustrating. I know that it doesn’t mean he’s finished eating because he will continue to eat even when he’s picking the food up off the floor. I’ve tried giving him less food on his plate & he still seems to throw the same (or more) percentage of the food on the floor. I’m at a loss at what to do. We haven’t had the food throwing in awhile. That was usually when he wasn’t getting what he wanted. He would pitch a fit and throw. We have put down rules and over time, he doesn’t do it. If he gets bossy about what he wants and starts to throw a fit, we take the plate away and tell him it is time for time out. 9 times out of 10, he is scrambling for that plate. One thing that took me a bit to get over, take the food away. He won’t starve. Once I started saying “this is the only food”, he started to get it…and he never went hungry. I also learned, sometimes he isn’t hungry. So sometimes, I gotta let it go. hope this helps! Um, this is super awesome. 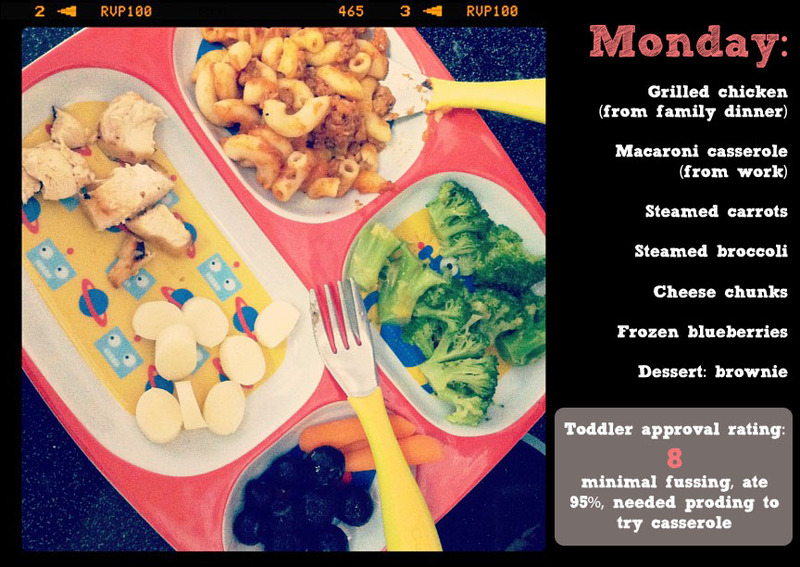 Your daily meal plans might have just changed my life – you are my official new toddler eating guru! Great…pressure 🙂 Nah…glad you like. Let me know if you have questions. 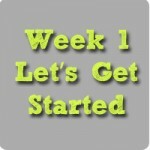 Plan to post each Monday with new stuff. I have to overcompensate for my nights of chicken nuggets! It looks wonderful, but why wouldn’t you just give them what you’re having for dinner? 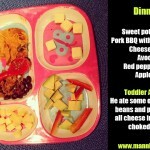 Kids palates are surprising well developed particularly if they’ve been breast fed. Great Ideas for Lunch perhaps, but I definitely don’t see the point in cooking 2 meals at dinner. We have also brought dinner forward to no later than 5.15pm as otherwise our two are too tired to eat and it becomes a battle. 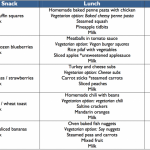 We have a wonderful adage from the Maternal Health Nurse which says you decide what they eat and when, they decide whether to eat and how much. 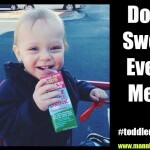 Please read the rest of the series (www.mannlymama.com/toddlerdinners). That is our philosophy. I started this series (years ago) to just show what we eat. Sometimes it is taking what we eat and changing the presentation to make it novel. Kids like things for no logical reason to us. I give slices of pears to my 1 year old and he wont’ eat them but if I give him the whole half? He devoured it. They are weird creatures. They are also allowed to not like things in this house. They have to try them and it’s ok. My oldest son won’t eat avocados or store bought pizza. I know these things and work around them. It isn’t a free ticket to junk. I never cook 2 meals. I usually have leftovers from other meals to pick and choose from as alternatives.